Clear Brown / Ftwr White / Gold Met. 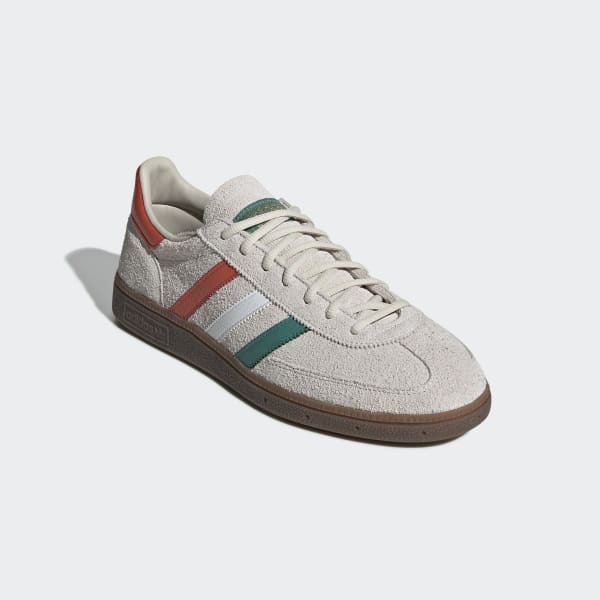 Vintage-inspired trainers with St. Patrick's day style. 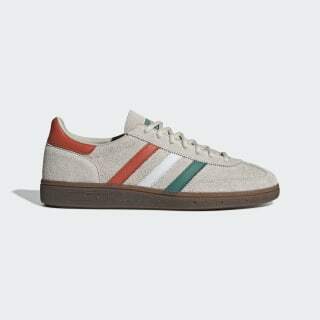 The sneaker of choice for elite handball players in 1979, the clean-lined Handball Spezial shoes are now a timeless fashion icon. This version of the design has a water-repellent premium suede upper with festive colours and a clover sign-off to celebrate St. Patrick's day. Gusset tongue construction helps keep feet dry. Product colour: Clear Brown / Ftwr White / Gold Met.